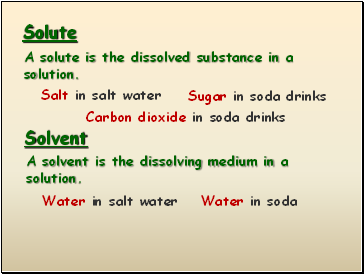 A solute is the dissolved substance in a solution. 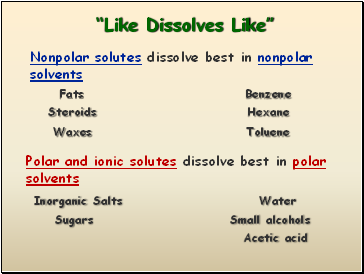 A solvent is the dissolving medium in a solution. 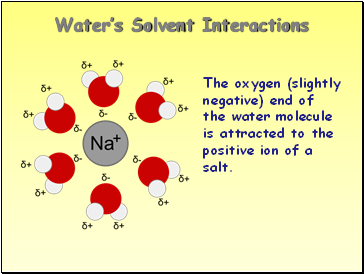 The oxygen (slightly negative) end of the water molecule is attracted to the positive ion of a salt. 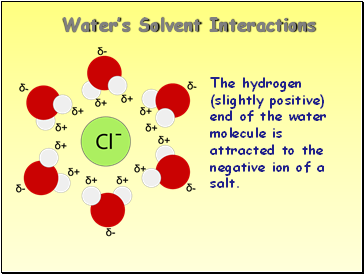 The hydrogen (slightly positive) end of the water molecule is attracted to the negative ion of a salt. 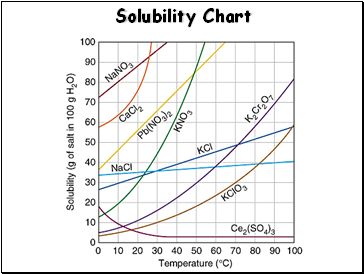 The solubility of MOST solids increases with temperature. 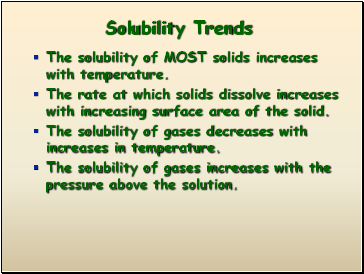 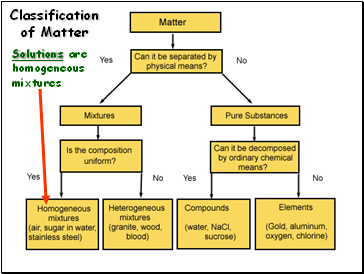 The rate at which solids dissolve increases with increasing surface area of the solid. 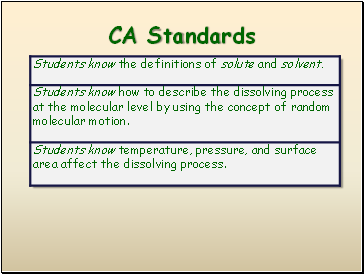 The solubility of gases decreases with increases in temperature. 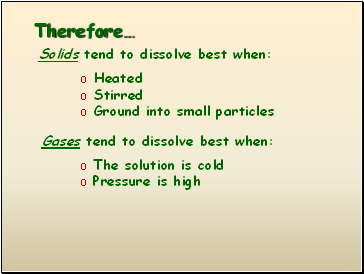 The solubility of gases increases with the pressure above the solution. 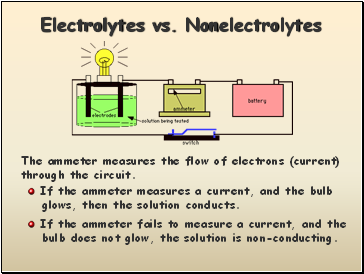 A substance whose aqueous solution conducts an electric current. 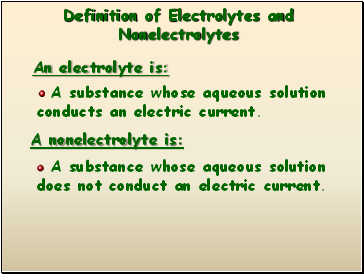 A substance whose aqueous solution does not conduct an electric current. 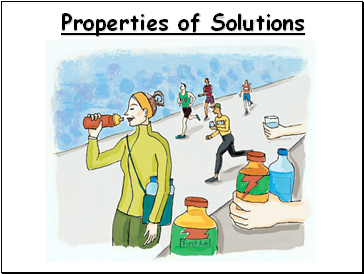 glows, then the solution conducts.